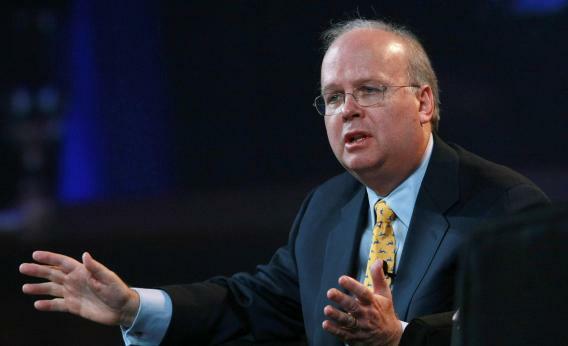 Are Conservative Super PACs Keeping Their Powder Dry? SAN FRANCISCO - OCTOBER 21: Karl Rove, former Deputy Chief of Staff and Senior Advisor to U.S. President George W. Bush, speaks during a panel discussion at the 2008 Mortgage Bankers Association Conference and Expo October 21, 2008 in San Francisco, California. The annual Mortgage Bankers conference runs through October 22. Two years after running their 2010 midterm election campaign largely as a crusade against big money in politics, Democrats have essentially given up on seizing the moral high ground. Barack Obama’s re-election campaign is even helping his Super PAC, Priorities USA, raise money. Less than one-third of all general election presidential ad spending by these groups was actually disclosed. Another way of putting it: More than two-thirds of the “air war” currently under way is coming from the equivalent of predator drones or stealth bombers flying under outdated radar designed to identify an earlier generation of spender. The disclosure gap very likely will grow this cycle: Any presidential issue ads run now remain outside the reporting requirements until 30 days before the first nominating convention, which is the Republican event beginning Aug. 27. 501(c)(4)s can only spend up to 50 percent of their budgets on explicitly political activity (and have to disclose that spending). Republican groups may be saving that chunk of their spending until a bit closer to November. Which means the attacks from outside groups on the president are likely to get more aggressive (and less focused on issues like energy) as time goes on. These groups have to be careful, though, or they’ll run up against what few limits remain on outside spending close to election day.